A young man is lucky to be alive today after he survived a traffic accident which had his vehicle ramming and breaking a utility pole in two and crashing through a fenced yard. The accident occurred during around 4a.m. on Sunday, February 2, 2014, on Seagrape Drive, south of San Pedro Town. Thankfully there were no casualties to report and the only mishap was that of an electric utility pole being broken in two, leaving the top half dangling in mid air, suspended by the high tension wires. 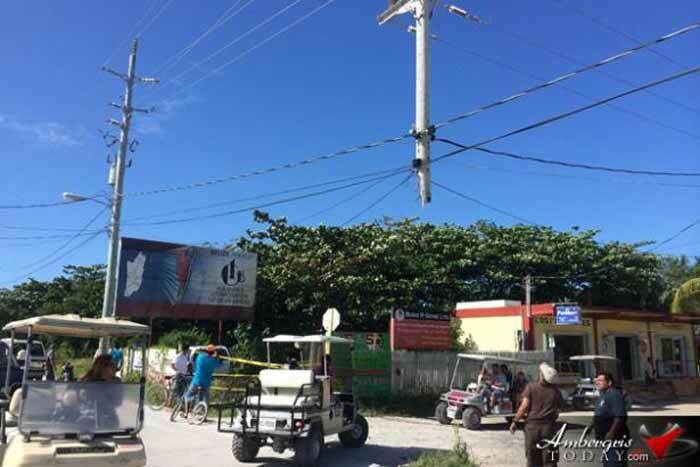 Early morning light revealed the severity of the impact and had onlookers astonished at the site of the hanging utility pole.